Metaphor is a means for awareness to connect to symbol, so that the spiritual guidance inherent in all that symbolizes the transcendental can be grasped. The metaphor, be it a concept of the Almighty or a symbol for Truth, is an external mental form that corresponds to an internal symbolic structure that is not usually known as personal experience. Meditation places you in a particular energy, or consciousness, that brings forth from the metaphor a personal experience that you integrate with physically. Knowledge is then owned by the body, it does not remain a mere intellectual artifice. In meditation, the focus on a particular metaphor is to bring to the surface specific qualities that are felt as a physical circulation throughout and around your body. Be in this energy in a detached manner so that the qualities of the metaphor become physically encompassed as experience, without any accompanying projections. In this manner the qualities inherent in particular metaphors can eventually be brought into form. These changes create shifts in cognitive/perceptual mind states and permit you to see a larger picture of interconnectedness that was formerly not possible. 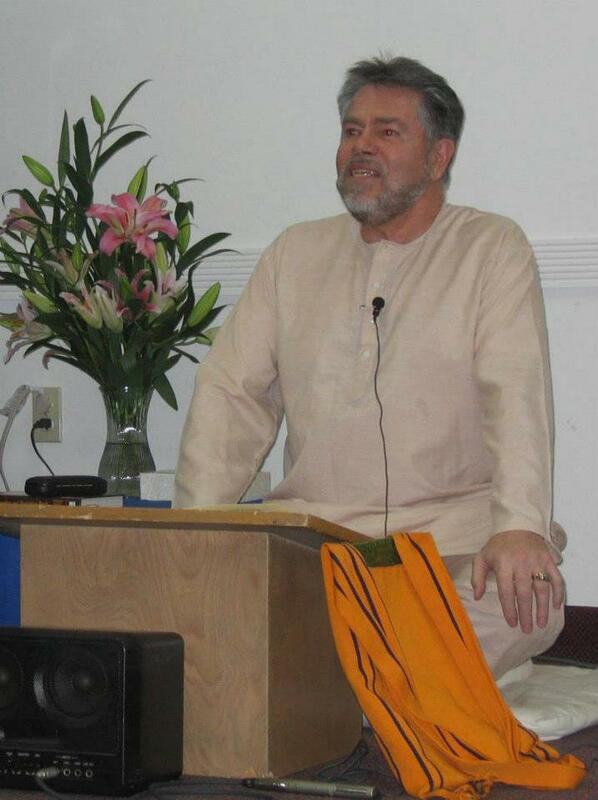 The Rainbow Meditation may illustrate the experience of metaphor as vibration through the changing focus of colour on the major chakras of the body. 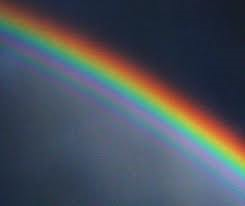 Colour addresses all levels of our being, as you will discover when breathing in the rainbow. Remember that you breathe with your entire body. Accompanying the seven main chakras in this meditation, is attention to particular colours that correspond precisely to each chakra. Each colour represents a tonal chord, or sound current that activate the tonal frequencies of its corresponding chakra. The colour Red is associated with the root chakra at the bottom of the spine; Orange with the chakra located in the sacral region; Yellow with the solar plexus or navel chakra; Green with the heart chakra; Blue with the throat chakra; Indigo with the brow chakra; and Violet and White with the crown chakra. These are experienced in sequence during the Rainbow Meditation. Sit comfortably with the spine erect, with your feet firmly connected to the floor. Place your hands either in your lap or upon your knees. Breathe softly into the heart chakra, up to the crown chakra on the in-breath, and on the out-breath take it down to the toes and relax into the quiet calm of meditative silence. Take at least five breaths, and when you feel ready to do so, breathe in through the soles of your feet and bring the colour Red up through your legs and fill your entire body. Breathe gently in and out as you note the physical sensation of vibrant and alive Red, where it circulates through the body and, most important, where it is blocked and does not flow. Now settle in to the experience of Red for five breaths. Then visualize this colour being pushed out of your body, starting from the head and going downwards, so that the colour Red goes out through the soles of the feet into the earth. Once this is done take time to register with the emptiness in the body. Take five breaths and connect to the emptiness and the vastness beyond. Just be with it. Then breathe the colour Orange in through the soles of your feet and fill the entire body. Breathe gently in and out. As before, note the changes in energy circulation throughout the body. Breathe regularly within the experience of the vibrational frequency of Orange for five breaths. After a time, visualize this colour being pushed out of the body, like a coffee plunger, from the head down through the soles of the feet and into the Earth. Once more register with emptiness in the body for five breaths. Take the time and moment to register with the emptiness and the vastness beyond. Just be with it. Then breathe the colour Yellow in through the soles of your feet and fill the body with this fresh spring colour. Note the physical changes in bodily sensations associated with Yellow and the navel chakra as you take five breaths. Then, as before, visualize the colour being pushed out of the body through the feet, and once again register with emptiness for five breaths. Take the time and moment to connect to the emptiness and the vastness beyond. Just be with it. On the next in-breath bring the colour Green directly into the heart chakra, behind the sternum, and from this location flood the body with a lush verdant Green colour. Breathe into this changed frequency for five breaths and take note of your bodily feedback. After a while, visualize Green being pushed out of the body from the head downwards and out through the soles of the feet into the earth. Register with emptiness in the body for five breaths. Take the time and moment to connect to the emptiness and the vastness beyond. Just be with it. Then breathe the colour Blue into the throat chakra, and flood the entire body with this tonal chord of energy frequencies and stay with it for five breaths. Circulation may be blocked as expression is frequently denied, so focus Blue through a clear crystal, which you visualize in the center of your throat. This may enhance circulation. Note where the colour moves throughout the body, and the corresponding bodily sensations. Breathe regularly into this energy state, and learn about the properties of Blue and of expression. Then push the colour out through the feet and breathe in to the emptiness within the body for another five breaths. Register with emptiness in the body. Take the time and moment to connect to the emptiness and the vastness beyond. Just be with it. Then bring the colour Indigo directly through the third eye chakra and fill the body with this frequency. Spiritual Insight is frequently subject to blockage, therefore circulation through this chakra may be facilitated by visualizing an Indigo octagon in the middle of the forehead through which the frequency of this colour is drawn in to the body. Register with changing body sensations, and become familiar with the tonal properties of Indigo for five breaths, then push it out of the body through the feet and take note of emptiness within the body. Register with emptiness in the body for five breaths. Take the time and moment to connect to the emptiness and the vastness beyond. Just be with it. Bring the colour Violet into the body through the crown chakra on the top of your head with the next breath. This circulation can be enhanced by visualizing the crown chakra as a fully opened lotus flower with a thousand petals, through which you draw in the colour Violet. Feel the special quality of Violet extending within the body and wear it lightly as an internal cloak. Breathe regularly five times into this changed energy state and note everything in the body as before. Then push the colour Violet out of the body through the feet into the earth. Feel an intense emptiness within the body. Register with emptiness in the body for five breaths. Take the time and moment to connect to the emptiness and the vastness beyond. Just be with it. Then breathing with the entire body, fill yourself with brilliant, crystalline White light and breathe regularly in to this new frequency. Do not direct your breath, simply be aware of in-breath and out-breath and the circulation of energy in the body. Remain in this breathing state for ten minutes. When thoughts arise, observe them, but do not participate in them or fuel them with energy. In this way your energy will remain with the experience of the Rainbow Meditation. At the end of the meditation reflect on the differences felt during the distinct phases of meditation, and contrast the present feeling within the body to your physical state prior to meditation. Reflect on, and discern, the discrete effects and circulation of each colour, and its association with particular chakras and write down your experience or share with a partner. 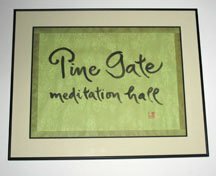 With continued emphasis on this delightful meditation you will feel new and changing connections between chakras. A sense of unification and harmony within all aspects of your being is now possible, as the chakras connect with one another as a single unified energy. This excerpt is from the last chapter of “Trailing Sky Six Feathers: One Man’s Journey With His Muse.” This memoir is a bit like Indiana Jones meets the Buddha in a Celestine Prophecy adventure across four centuries of my consciousness. This blog brings up memories of insane voyages in the North Atlantic from thirty years ago. The journey back across the Sound of Barra, the stretch of sea separating Eriskay from Barra, was uneventful. As I started to navigate down the east coast of Barra, the storm and fog took on a mind of its own. It very quickly blew up to gale force winds and the rolling black fog made visibility difficult. It was impossible to return to Eriskay and there was no place to shelter on the east coast of the island. Then I noticed houses bordering the coastline with every light on – and that gave me navigation marks to get back to Castlebay. I knew only too well the fierce sea conditions in The Minch, the stretch of water that separated the islands from the mainland of Scotland. I stayed inshore to the east coast of the island as much as possible. That had its own dangers as the force of the storm was much more powerful than my twenty-five horsepower engine. Gale force winds swept the ocean swells to break over the prow of my boat, sending sharp spray into my face. Striking like pellets from a shotgun. I shielded my face with one arm to better see the wave upon wave of huge swells coming right at the boat. I manoeuvred An Dhoran so she was at an angle to the waves and could crest over the swells rather than be battered to pieces from the storm. My son used the boat hook to fend off the dinghy from smashing into the stern of the boat as the following swells would throw An Dhoran down into the trough of the swell and up over the next menacing wave. Disaster loomed from every option that was available to my mind. Then I felt myself entering into a terrible, cold silence. That territory became fully occupied, as I stood braced at the wheel of this small craft. There was no mind there, nothing that was calculating and measuring. Just instinct was there – an intuitive awareness of danger in this moment, then danger in the next moment. Navigation was from house light to the next house light on the shoreline. The instinctive reactions sheltered the boat from the fury of the gale force driven sea. The navigation was just far enough away from the inshore spurs of rock that jutted out like razors from the eastern side of Barra. The no mind mariner at the wheel stood quietly humming the 23rd Psalm, allowing a powerful intuitive knowledge to take over. I took An Dhoran through a narrow gap in an offshore rock spur, catching a swell as it crested through the gap; spinning the wheel hard to port to avoid the ragged edge of another rock ledge; swiftly spinning the wheel to starboard to find a more sheltered stretch of sea to get this boat home. Yet I did not have that knowledge. I certainly did not have that skill. This was not something I had learned from Master Mariner Callum McAuley. It was way beyond my capabilities – until that moment when my mind did not operate, simply resting in a terrible silence. There was no fear, no elation – just a seamless connection to a furious sea that could destroy us all, as it relentlessly pounded the wooden frame of An Dhoran. The passengers were very alarmed by these conditions and huddled inside the cabin to avoid the crashing waves. I had the tourists sit inside for weight at the front end of the boat as the sea smashed the creaking clinker boards. The extra ballast saved the timbers of our vessel from being split open. Our slow progress down the east coastline of Barra continued under a mantle of desperate prayer. The brightly lit houses on the shoreline held my attention, while something else took over the wheel. Later, as we limped slowly into the sheltered harbour of Castlebay after dark, Gaisma, the mother of my children and then wife, was there to gather Iain and take him home. She had monitored the progress of the voyage through phone calls from households that had spotted our small vessel. The last call that we were rounding the tip of Barra brought her to the dock at Castlebay harbour with blankets for my son and a fierce glare at me. We were not on good terms. The passengers disembarked with great relief. “Callum, I don’t know about that either,” I replied in a hoarse, bewildered whisper. “THAT” became even more penetrating, as next day the news reported that the storm had taken down a sixty foot trawler in the middle of The Minch. It had spared my small boat. With the money from the passengers in my pocket, I beckoned to Callum to come with me. Callum shook his head and reminded me that he had been banned from the bar for twenty years now. “Not tonight,” I grimly said. I remember that he looked at me with a touch of both fear and amazement. We walked up the hill to the Castlebay Bar. Callum was reluctant to step inside. As soon as he did, Roddy the bartender came over to throw him out. “Roddy, he’s with me tonight.” I said. There was something steely in my voice that immediately caught Roddy’s attention. He paused for a moment as he had already heard about our journey from Eriskay. News travels fast on the island. He looked from Callum to me and then reluctantly nodded his consent. Callum was quickly surrounded by some of his seafaring friends eager to hear him tell the story. I greeted his pals, who delighted in this rare occasion, then walked over to the bar and placed two ten pound notes on the counter. They were the sum total of my earnings from a day of insanity on the sea. Indeed there was – a long row of full whisky glasses. Callum told and retold the story of the day’s journey on An Dhoran – over and over again, each time more elaborate than the previous telling. I did not listen, still reverberating from the terrible cold silence and desperate intensity of the experience. My hands shook as I picked up the first glass of whisky, yet my mind was very still and cold. I scarcely heard the tales Callum spun that night, the cold silence told me it was not I who brought the boat home safely. At closing time, I thanked Roddy for allowing Callum his night of storytelling and walked over to the table where he was taking the voyage into the mythological realm, which perhaps is where it belongs. Callum still had a full glass of whisky in front of him. “Indeed I do” he replied with as much dignity as he could muster: “I could be dead tomorrow, so there’s no point in leaving it sitting here – is there now.” He downed it and I helped him out of his chair and walked him home to the small cottage in Leidag he shared with his sister Morag. He was singing and fell over a few times, stopping to tell me the story of the voyage as though I did not know the details of it. I eventually delivered him to his cottage and coaxed him into his comfortable armchair where he promptly fell asleep. I walked home to Dunard, my home in Barra, overlooking the bay and the Sound of Vatersay. I sat on the steps awhile and could see the Castle and the islands to the south – shrouded by a soft light from the quarter moon in a clear sky. It was calm and peaceful. Nothing like the day encountered on the sea. I had thawed a little from the dreadful cold silence. Sitting on the steps of my house, I went over in my mind this day on the sea that could have ended up in disaster and loss of life. The reflections yielded ugly truths I had buried. I thought of the long line of whiskies on the bar – two of them from Roddy the bartender. An acknowledgement and celebration of our returning home from the furious sea in one piece. The truth was that there was nothing to celebrate. A rebuke was needed for my recklessness in endangering the lives of others, including my first born son. I could take no credit for bringing An Dhoran home to rest safely in Castlebay harbour. I thought of the sea we had encountered as a piercing, dirty grey – the color of dying. It was the hue of an angry sea that could make corpses of us all. I also saw very clearly that I was not in the right place internally, or location wise or in the right relationship. I had obscured this true confession to myself with blind recklessness. But the shrouds fell away that evening and for an instant I could see clearly just what I had allowed myself to become. I was no heroic captain at the wheel, just stupid, reckless and displaced. On board I did not have radar or radio and knew instinctively that I must put an end to my madness on the sea and sell this beautiful boat. This was not my domain in life. This island was not where I was to be. The stressful drain on time and energy to travel back and forth between Canada and the Isle of Barra was debilitating. It robbed me of my life purpose and left me with zero life force energy to be available for the work I was destined to touch. I paid little attention to global events, merely surviving ‘midst the misery and suffering of being so totally misplaced. Pretending to know the culture and be an advocate of all things Highland in Scotland. But this was not me – it was just a front that could not even save a failing marriage. So down I went into a graceless oblivion of alcohol and depression, as I neglected global, spiritual and ecological issues. The latter was the domain where I belonged. As I thought about this day of insanity on the sea, I could still hear the screech of the gale force wind and feel the sea and dark fog parading their multiple dangers. There seemed to be nothing moving in my heart or mind while I stood braced at the wheel of An Dhoran, wincing from the harsh ocean spray impacting my face. The eerie sound of everything being a dirty grey color stayed with me as a toll from the sea, announcing my death if I did not change course. Though I was numbed, a window opened in my mind for a singular insight to face me. I fully realized that something much deeper than the furious storm had suddenly taken over my being.